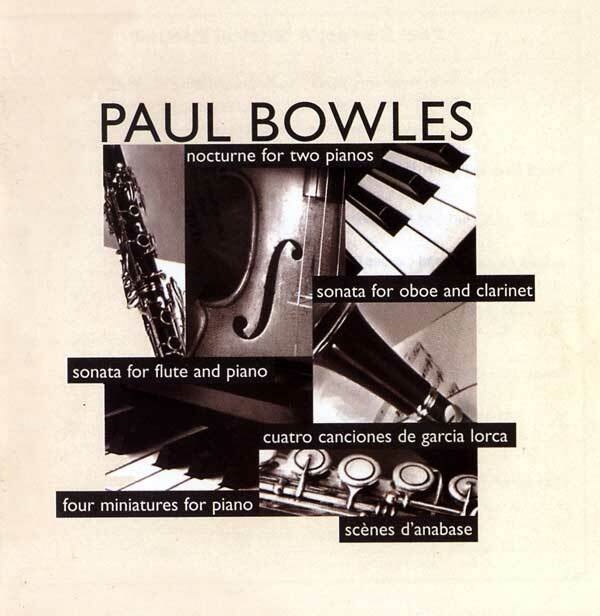 Paul Bowles: A Musical Portrait, an audio compact disc (CD), is now available for $17.00 (to USA and Canada) and $20.00 (the rest of the world). Write to Irene Herrmann for details: Herrmann@ucsc.edu. 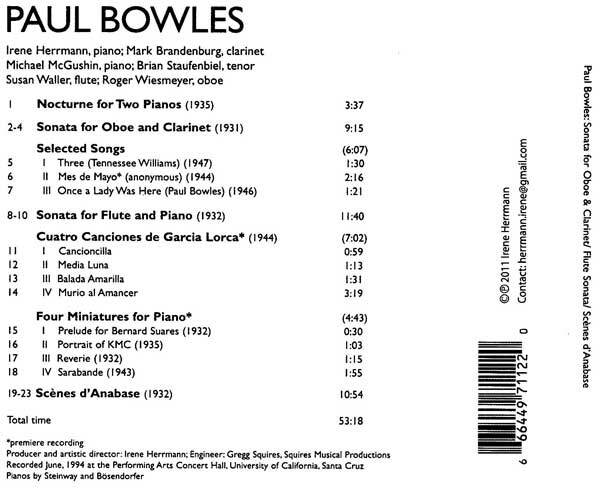 The Paul Bowles CD album's booklet has program notes and the texts of songs. Total time: 53 minutes, 18 seconds. IRENE HERRMANN is the featured pianist on a Koch Records album of Paul Bowles' piano and chamber music. Herrmann is the co-editor of Paul Bowles on Music, a collection of Bowles' criticisms published by the University of California Press. Irene Herrmann is the musical heir of the estate of Paul Bowles and is the authorized distributor of his music scores. She may be reached at: Herrmann@ucsc.edu. To see a complete list of Paul Bowles' music scores distributed by Irene Herrmann click here.